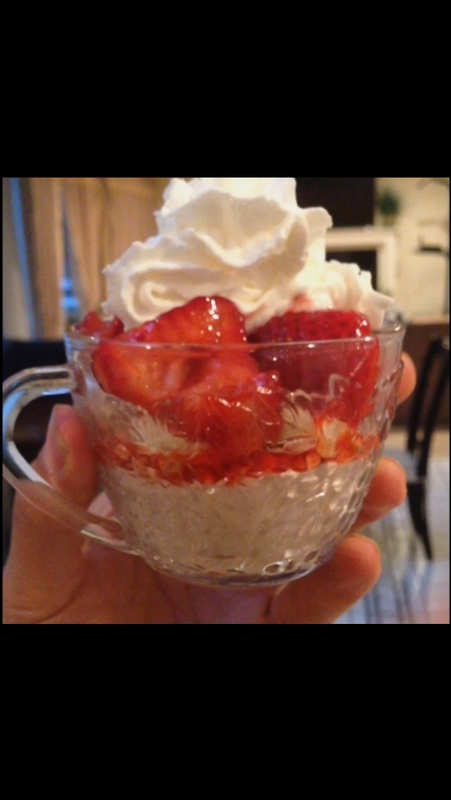 A high-protein delicious dessert that is low in fat and sugar! Great for a post-workout meal or a late-night dessert. 1.In a bowl, mix greek yogurt with protein, cinnamon and stevia. 2. In a small cup/bowl, add the mixture along with granola, then fruit, then top with low fat whipped cream.